The Good Wife Guide flew out of stores, going into its second printing in less than a year. That's great news for men. But what about women? Don't they also deserve a spouse who's trained to keep them happy, soothe them when they're stressed, and pamper them on a rough day? Yes, they do, so here's the companion volume--and no married man can do without it. 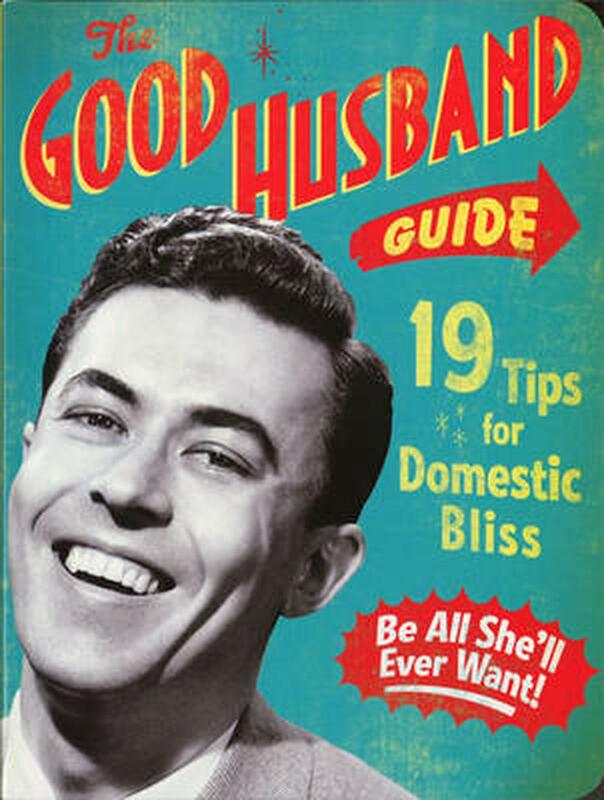 The Good Husband's Guide gives hubby all the advice he needs to make Her Royal Highness feel like a real queen. He'll uncover the secrets of tending to the kids, tidying the house, fixing problems without even being asked, and preparing delicious meals. Even more important, he'll learn why lavish compliments and good gifts are so vital. This fun, retro volume belongs in every home--and makes a perfect present for both grooms-to-be and married men. Ladies Homemaker Monthly was a preeminent homemaker's journal at the turn of the century. Located in the Midwest, its editors strongly advocated the temperance movement and old-fashioned family values. Their famous adage was, "You can judge a good husband by how well-dressed his wife and children were and contentment of his wife."